SEC is the only Avid Certified Learning Partner in Switzerland, providing a wide range of pro audio training solutions. 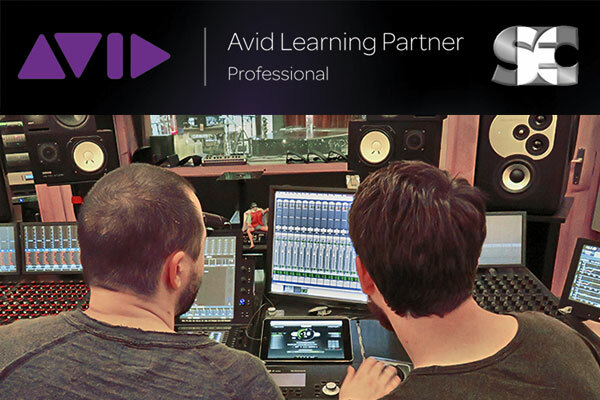 We offer official Avid Training for Pro Tools, S6, and Media Composer, as well as workshops and courses tailored to suit the needs of musicians, sound engineers, broadcasters and media facilities. Learn more about Avid Training here. Interested in finding out more? Contact us for more details. Your contact details will not be shared with any other company. © 2018 Simola Eichmann Communications GmbH. All trademarks are property of their respective owners.